Much attention is given to the religious people who decry us and who fight our equality. 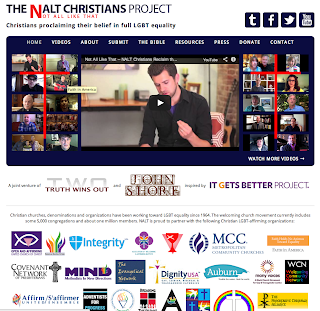 It's good to witness the movement of religious LGBTQ Allies stand up and make their voices heard as well. 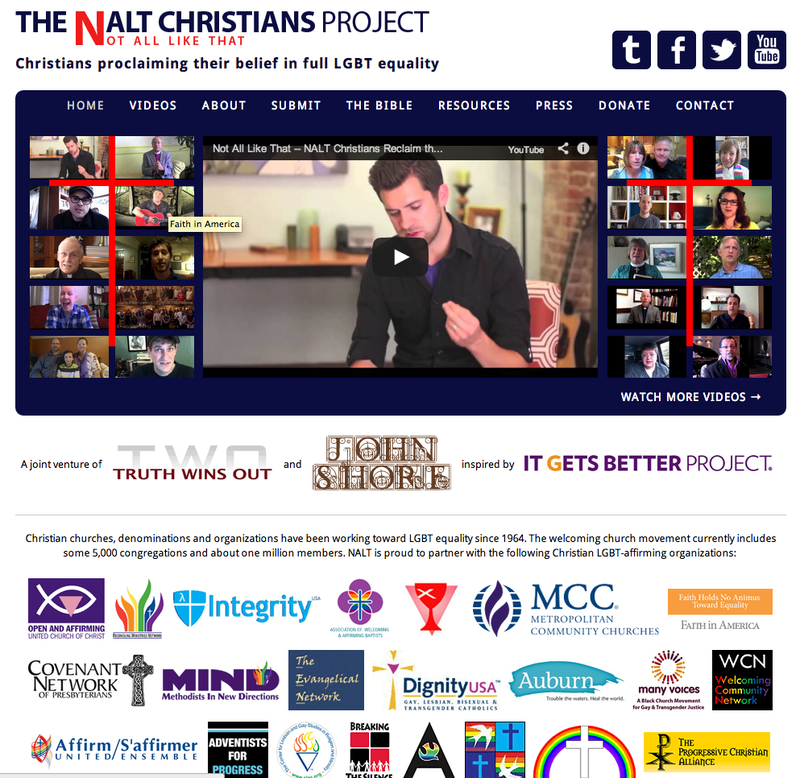 For those within the Christian community and for those outside it, Not All Like That, inspired by the It Gets Better Project, is a welcome platform for Christians to embrace LGBTQ people and our rights. Definitely will check this out.